Welcome to our Real Fun Features post. This is the post each week where I feature a few of my favorite posts that linked up at my link party last week. It is a great place for you to get some inspiration and learn about a some other blogs as well. In case you missed all the fun, you can see all the links that linked up at Real Family Fun #33. There are so many fun ideas for decorating for fall and Halloween. Here is a cute Halloween Washi Tape and Mason Jar Rings Wreath from Made from Pinterest. Looks adorable! 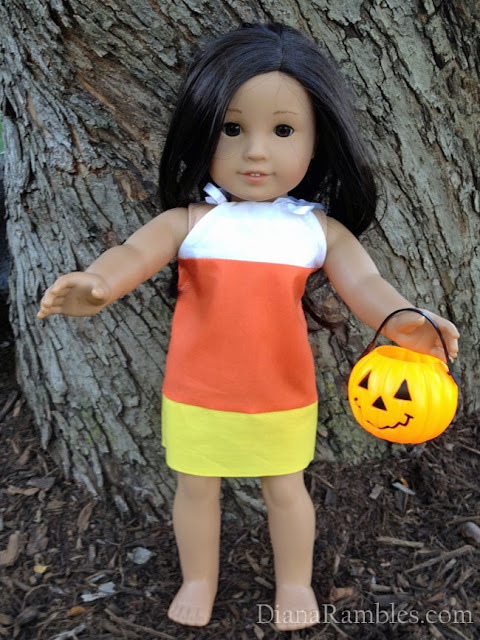 If you don't want to leave your dolls out of the fall/Halloween fun, Diana Rambles.com has a pattern for a cute American Girl Doll Candy Corn Dress. 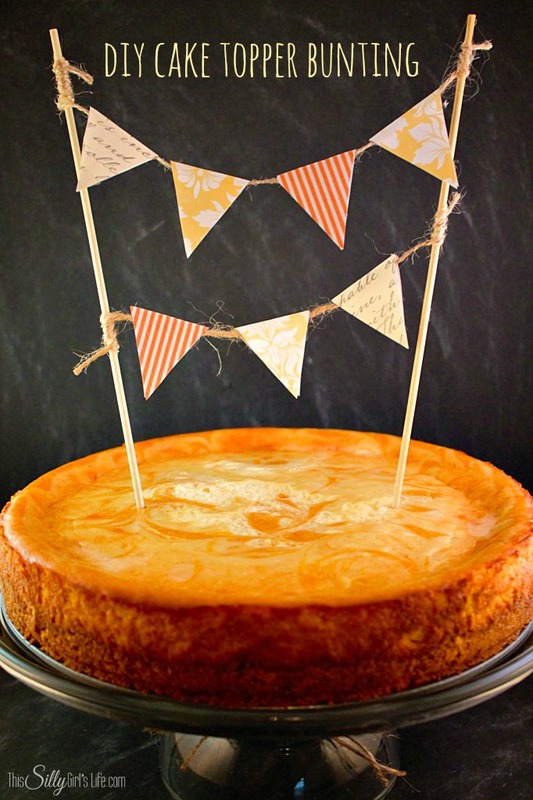 With all the fall and holiday parties to come, here is an easy DIY Cake Topper Bunting from This Silly Girl's Life that can turn that cake from plain to super cute in just a few minutes. I stink at cooking without a recipe. How about you? 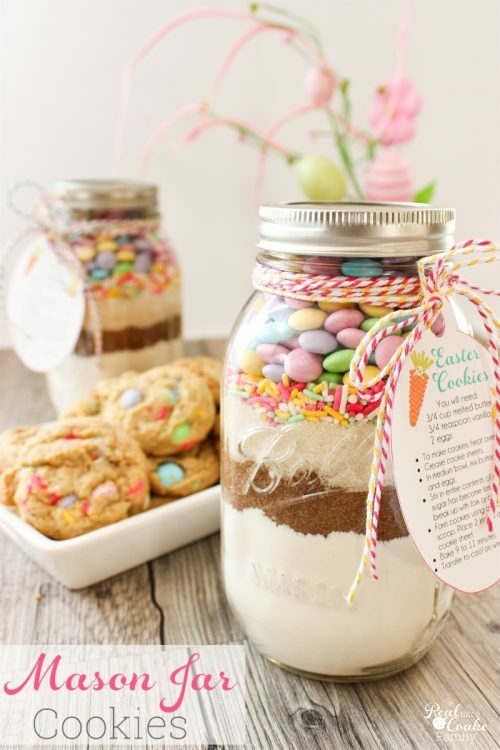 If you are like me, this Learn to Cook without a Recipe from Soda Pop Avenue should help get us started getting creative in the kitchen without the recipe. I'm on the hunt for great slow cooker recipes this fall. 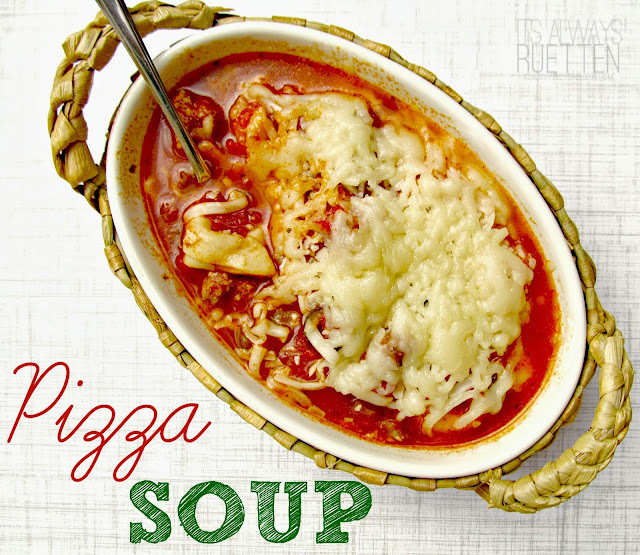 I think this Slow Cooker Pizza Soup from It's Always Ruetten will be a crowd pleaser at my home, how about yours? Yum! Yum! Yum! I don't think I need to say anything else about these Salted Caramel Popcorn Cupcakes from Soda Pop Avenue. They look so amazing! 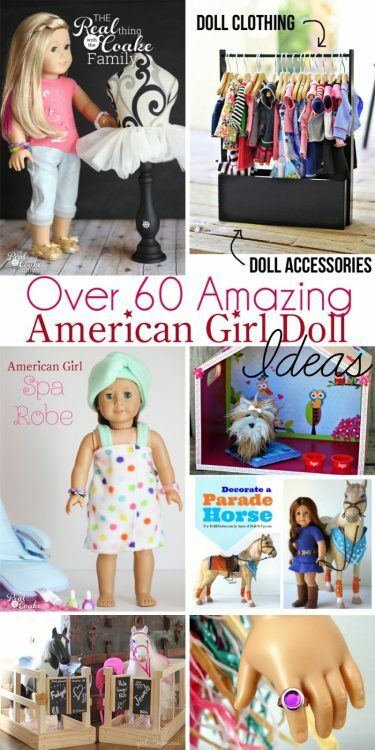 Awesome features- I love that candy corn dress!!! Thanks, Amy! You are always so supportive of what I am doing and I appreciate it! Thank you so much for featuring my Pizza Soup! I hope your family enjoys it! You are welcome! I’m sure they will enjoy it a lot…who doesn’t like pizza and in a soup…yum! I loved the wreath made out of ribbon! That is a fabulous idea!!! But all the features were great as well!! Isn’t it just darling! Love that idea. Oh, Thank you! That was sweet of you.